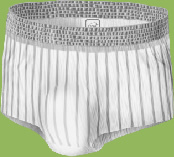 Designed for moderate to heavy urine loss, this product is extra secure and worn like normal underwear. 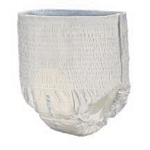 - Heavy protection underwear with Super Absorbent Micro Beads for advanced leakage protection where it's needed most. I have been purchasing this product for my father for several months now. 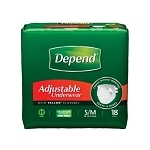 It is really comfortable, absorbent & the best part is that it prevents leaks which had been an issue for us. The automatic order with iDiaper has made it worry free to make sure my dad is dry & comfortable. I found this product skimpy and would not stay up on waist. After using them for several days, I have set them aside and returned to my prior product. I will keep them as a back up just in case I totally am out of the other one I like.